Egad! 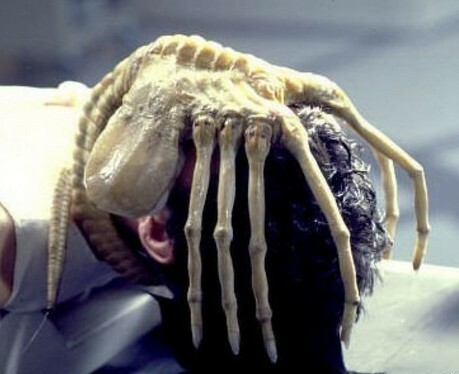 It reminds me of the face hugger from the Alien movies! Created by artist Iizawa Mio, Grow Cable is designed to mimic the human umbilical cord as an apt metaphor as to how intensely humans are connected to technology. And while creepy, the design definitely gets the point across. 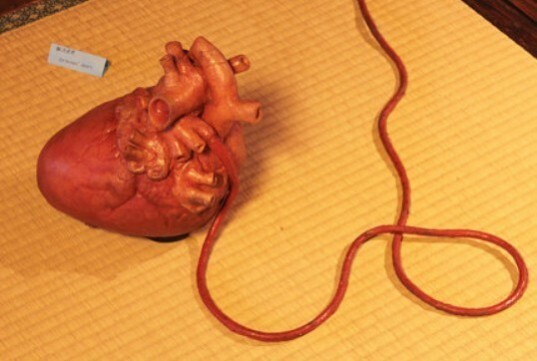 This very realistic heart sculpture is attached to a long hose; an artery, if you will. 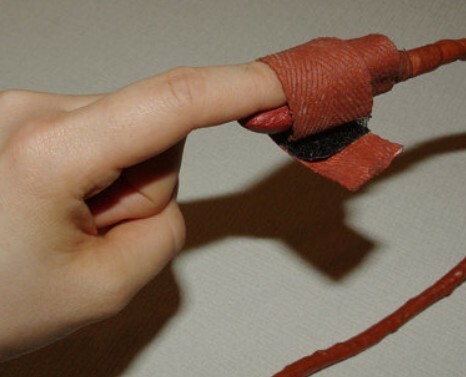 This artery runs to a little socket in which you place your finger. 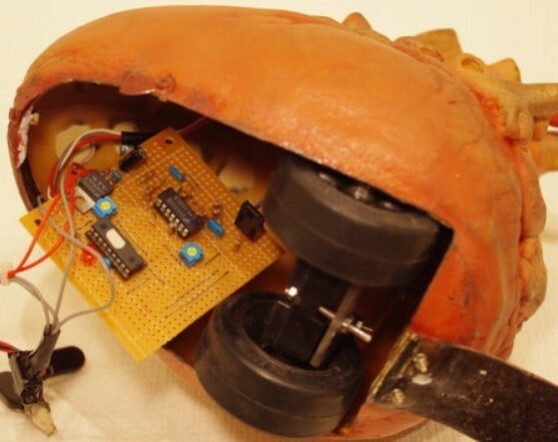 Each time your heart beats, sensors trigger motors inside the heart. This makes the heart beat. I'm not sure which one of these creeps me out more. If you're into stuff like this, you can buy one. But here's the catch: if you want to freak out your friends with the Grow Cable, get ready to shell out over $5000. And Heart on a Leash run slightly over a whopping $10,000. Why? Well, not only grow cable a usable device, but it is also a work of art. And while, Heart on a Leash doesn't really do anything practical, it is art as well. And only one of each exists. Grow Cable can be purchased through Etsy. Hay, What's That Thing Out There?